By a vote of 88/60 the Missouri House has passed HB 1460, putting a 10 cent fuel tax increase on the ballot for a vote of the people. The Senate passed the same measure yesterday by a 24/8 vote. This puts the 10 cent fuel tax increase before Missouri voters later this year--most likely in November. The 2018 Missouri legislative session ends Friday at 6:00pm. What is happening on issues we have been working on this year? What effect have our advocacy work, messages and phone calls, visits to Jefferson City for Capitol Day, and all the rest had? Leading state and national stakeholders representing safety, public health, bicyclists, pedestrians, smart growth, consumer and environmental organizations, law enforcement and first responders, disability communities, and individuals affected by motor vehicle crashes asked the U.S. Senate to back off plans to move the AV START Act (S. 1885) that could set driverless car policy for decades to come until the National Transportation Safety Board (NTSB) completes important investigations into recent crashes involving automated driving systems that have killed at least two people – including a pedestrian walking a bicycle. NTSB’s expert analysis of the recent crashes and the agency’s subsequent recommendations will likely have a direct bearing on issues included in the AV START Act. 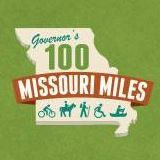 Bicycle, Pedestrian and Trails Day at the Capitol in Jefferson City is coming soon--Monday April 30th. State transportation funding, the future of the Rock Island Trail, stopping dangerous dogs, texting while driving, and safety of self-driving cars are among the issues we'll be talking about with legislators Monday. We'll also enjoy a Ride with Legislators from the Capitol to the Katy Trail and back. Join us April 30th in Jefferson City--when you take the time to make those personal visits to legislators, it really makes a difference! If you can't join us in person, please take a moment to call or email your Missouri Senator and Representative in support of our message (sample message below). Our members have consistently identified distracted driving and texting while driving as one of their top concerns. For that reason, we have been working for years with a coalition of like-minded organizations across Missouri to support distracted driving and texting-while-driving legislation. Year after year, this important legislation has been stopped by a few powerful legislators. But now one of those legislators is sponsoring a bill with strong language restricting all kinds of distracted driving behaviors and use of cell phones and other electronic devices while driving. The Missouri Senate has been the stopping point for distracted driving bills in past years and for nearly all bills in 2018. But now SB 1050, sponsored by Senator Dave Schatz of Sullivan, has has passed the Missouri Senate by a vote of 28-3. National Bike Summit: Congress triples TIGER funding, one of our major Natl Bike Summit asks for 2018 - get your community's TIGER applications ready to go! One of our big asks at the 2018 National Bike Summit was for Congress to continue and increase the TIGER grant program. At the Summit's Capitol Hill Day, we visited the congressional offices of all ten Missouri members of Congress and Senator. We asked them specifically to support continuation of TIGER and to support increased funding for the TIGER grant program. We heard UNANIMOUS support for TIGER from our Missouri congressional delegation. And now the TIGER transportation grant program has been renewed as part of the recent budget deal--with triple the funding it received last year. Find out more, and how your community can apply for TIGER, here. I can't say how amazing it was to hear the support for TIGER from office after office--and with equal levels of support from both the 7 Republican and 3 Democratic offices. Right now, Congress is debating self-driving vehicle legislation that is far too lax on safety and oversight. Safety statistics show that current self-driving cars are 192 times more dangerous for people who walk and bicycle as human drivers are. Please click here to join MoBikeFed and the League in asking Congress for safety for people who walk and bicycle. Sunday, an autonomous vehicle hit and killed a pedestrian in Tempe, AZ, as she was walking her bicycle across the street. While the details of the crash are still forthcoming, the League of American Bicyclists is concerned that these vehicles are being deployed without having to first prove their ability to recognize and respond to people biking and walking in our streets. This tragedy marks the first time a bicyclist or pedestrian has been killed by an automated vehicle in the United States. However, recent articles in IEEE Spectrum and in Slate magazine report that detecting bicyclists is one most difficult problems Automated Driving Systems (ADS) technology faces, and testing for bicyclists lags behind other ADS technology tests. This tragedy shows that not all manufacturers’ technology is ready to be tested in communities.